Ta-dah! 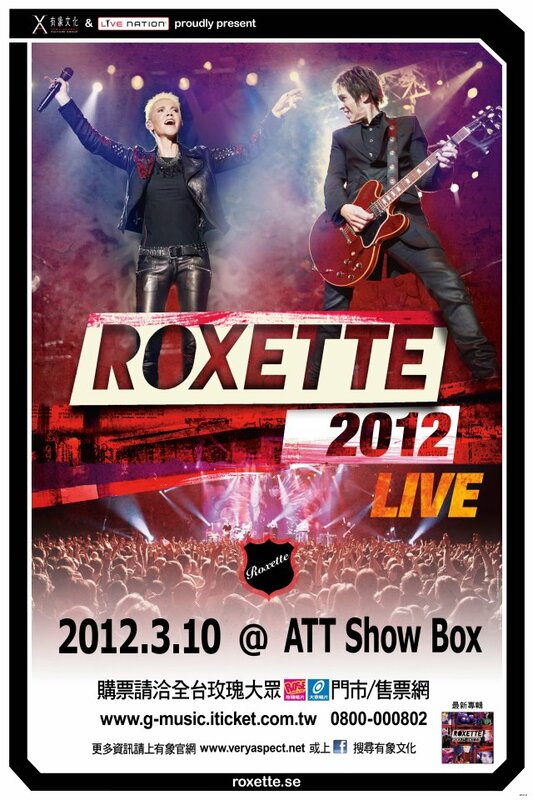 Another Asian country on the list – Taipei, Taiwan on March 10. Thanks to yu for bringing this news to us! More info to be found on VeryAspect Facebook page. 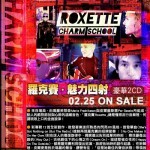 According to our reader Yu Ho from Taiwan, Asian edition of “Charm School” is released today. Below you can see a poster that promotes the album as well as the cover which differs from the one we know from the international version. 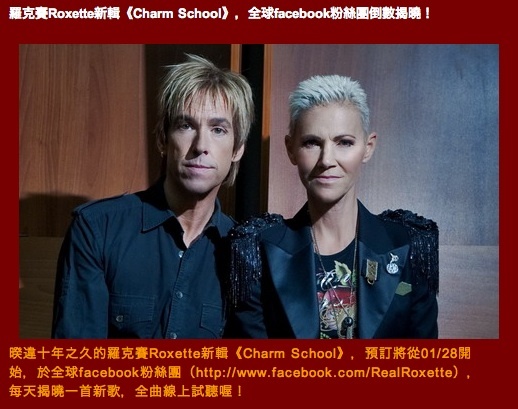 According to EMI Taiwan’s (now called Gold Typhoon) blog one full “Charm School” song per day will be put on Roxette’s official Facebook page for preview, starting on January 28! Thanks our reader Yu Ho for the tip! If you readers from Asia and other regions which are hard to monitor for a European find more news, official charts or other interesting info, please tell us! 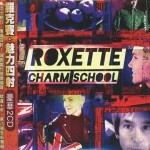 Update January 27: It’s just about “beautiful snippets”, not full songs.